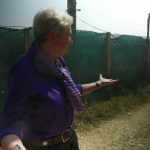 Lindsey Hilsum, Channel 4 editor shows up next to the camp of the place of residence of Iranian refugees in Albania, filming the compound and individuals to be used to vilify Iran’s principal opposition the MEK. One of the keys to a successful lobbying campaign is to get your point across through the use of surrogates and third parties, especially if those entities are not even aware of being manipulated for a specific purpose. In politics, the tactics are well-worn and timeless as the third party, grassroots organizations, think tanks and other groups spring up like weeds to advocate a specific position, recruit like-minded people and then activate them to write letters, post on comment boards, give money or man phone banks. The Iranian regime recognized the effectiveness of those tactics, even though it bans them within its own political world, and utilizes them to advocate abroad, especially in the U.S. and Europe. Those tactics have taken shape in forms both legal and illegal. Iranian regime made significant investments in building a political lobbying and PR machine to help rally support for the nuclear deal during the Obama administration. Messages were carefully crafted to coincide with the projection of a moderate in the form of Hassan Rouhani’s election as president. Many news organizations bought it hook, line and sinker as they dutifully spit out the concepts of Iranian moderation and ignored the excesses of the regime in its crackdown on human rights at home. Predictably it all fell apart as Iran sank billions in supporting the Assad regime even as it gassed hundreds of men, women, and children and killed over half a million people and turned another five million into refugees that swamped Europe and spread Islamic extremism that Europe still wrestles with daily. But now as the regime is facing more and more demonstrations against its corrupt and repressive rule, and as Trump administration has decided to withdraw from the nuclear deal and impose economic sanctions, the regime is under the greatest stress economically and politically it has ever been. Predictably, the regime has gone looking for a scapegoat as well as stepped up efforts to stomp out any dissension. Given the role of MEK in recent uprisings in Iran, the mullahs in Tehran have decided to focus their efforts on the Iranian opposition, and its principal member, the MEK, and sought to bring all of their lobbying and PR tools to bear. In the U.S., the effectiveness of that lobby has been severely retarded and advocates for the regime have found it tough sledding to get their editorials and commentaries placed. Whereas before you could see editorials in prestigious publications such as the New York Times and Washington Post, those same editorials can now only be found on obscure blogs or those already controlled by the regime’s state news apparatus. But periodically, someone gets taken in and in this case, it was Britain’s Channel 4 News and international editor Lindsey Hilsum. She produced a piece that dutifully checked off all the boxes for the regime in attacking the Mujahedin-e-Khalq (MEK), the oldest and principal opposition group to the Iranian regime and failed to provide many contexts to the realities of the regime’s actions. 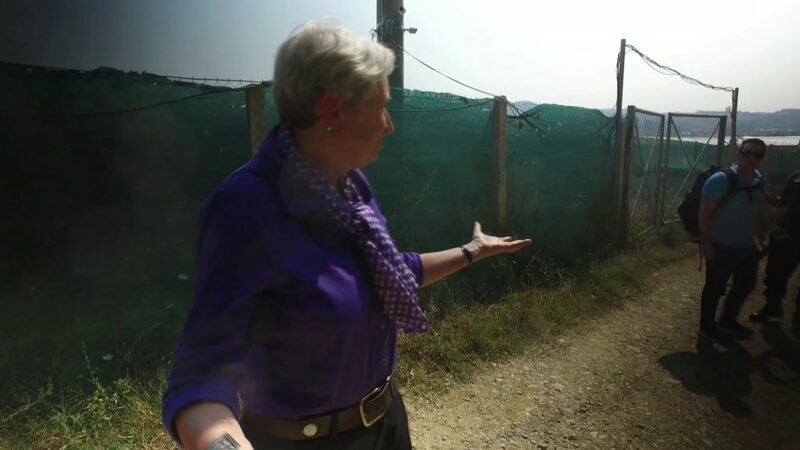 In it, she attempts to vilify the Iranian opposition by showing visually arresting visuals of her attempt to enter the main camp in Albania where displaced MEK refugees were relocated after suffering continued attacks at another camp in Iraq by Iranian forces and affiliated Shiite militias – many of whom would later go on to fight in Syria on behalf of the Assad regime. While the video depicts security guards trying to deter the crew from filming the camp and security measures being put in place, she never provides the context of why those measures are necessary. Hilsum gives some lip service to prior attacks on the MEK refugee camp in Iraq and to the mass execution of MEK political prisoners by the Iranian regime but neglects to mention how relentlessly the regime continues to pursue attacks on these harsh critics of the mullahs’ rule. She mentions the MEK’s annual gathering in Paris but doesn’t mention the arrest of Iranian diplomats and operatives by French and Belgium police who were planning on smuggling a bomb to the MEK’s convention this summer. Nor does she mention the recent disclosure by cybersecurity firm FireEye of a sophisticated operation by Iran Ministry of Intelligence Services (MOIS) to influence U.S. and European opinion about economic sanctions on Iran through the use of false front social media profiles who were also involved in massive vilifying campaigns against the MEK. Taken in context, it’s understandable why the MEK in Albania are nervous about any video showing the layout, security, and location of the camp and its facilities. Remarkably, Hilsum adds with emphasis that this is Albania, how can they be in danger here? Obviously, she must believe that Paris, Brussels, Sydney, Ottawa, San Bernardino, Nice, Orlando, Berlin, and other cities are immune from Islamic extremism. The fact that Iranian diplomatic personnel was attempting to smuggle a bomb from Belgium to France to bomb the MEK must have slipped her attention. While Hilsum conveniently mentions the MEK’s placement on the U.S. terrorism list, she neglects to mention that it was taken off that list by then-Secretary of State Hillary Clinton during Obama administration. That bipartisan support of the MEK is also neglected by Hilsum who makes a big show of discussing support from the MEK by Trump legal counsel Rudy Giuliani and National Security Advisor John Bolton, but never mentions support from Democratic senators Robert Menendez, Richard Torricelli and Joseph Liberman, not to mention a slew of Democratic representatives and ex-administration officials. Hardly a club of extremists. Oddly, in the video of the MEK gathering, Hilsum prominently displays videos and name tags for American officials attending, but curiously in one scene, blurs the nameplate for a prominent British official. Why? Afraid to showcase support from Channel 4’s home country? The truth is Hilsum has served as a useful tool by taking as gospel the key messages churned out by the Iranian regime’s PR machine. Her ultimate condemnation of the MEK is to claim there is no support for it within Iran. Her most serious omission is that the MEK has long campaigned on one simple platform: open and fair elections in Iran allowing for all political parties to participate. Hilsum never mentions membership in the MEK is banned in Iran. She never mentions active participation in MEK activities in punishable by imprisonment and even death. She never mentions the Iranian regime outlaws the MEK from participating in any election. She never mentions the regime’s ruling council regularly disqualifies dissident candidates from election slates by the hundreds. As the statement by the Iranian opposition mentioned, “Demonizing the Iranian regime’s main opposition concurrent with the visit of the UK Foreign Office’s Minister of State for the Middle East and North Africa, Alistair Burt, to Iran is another objective of Ms. Hilsum’s upcoming report. Burt’s visit to Iran is the first by a European minister subsequent to the foiled Paris terrorist plot” states the NCRI.